Have you ever wondered how to scale background image directly in browser? For every image there was a HTTP call to check whether the image is there or not. This works fine but is rather slow and also loads the server in a silly way. After a little bit of a thinking over the problem I came with an elegant solution. What I did is I made two HTML elements one over the other. The first one holds the "no-image" image and the second one placed above the first one with a higher z-index hold the actual product image BUT (the catch is here) image is set as a background-image CSS. This way when the product image is missing user will see "no-image" and we do not need functionality to check whether product image exists or not. While making my Custom Speakers (inspired by Lampizator's Endorphine 17 project) I was wondering how to calculate the crossovers. I read a lot of theory, downloaded a bunch of programs, etc., but finally I came to the conclusion that the simplest crossover works best and I will describe you how you can make it by yourself. First you need to find out the impedance of your speakers. 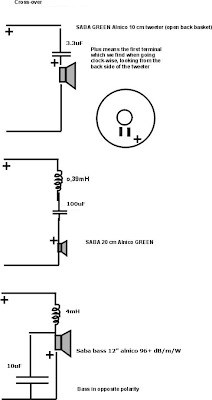 Mine are 5Ohm Saba pairs, so I will make the example calculations based on that. 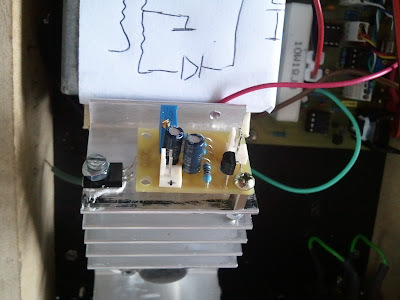 1) For tweeter you can put a capacitor in series which will form a first order High Pass filter which have to cut off frequencies below ~8kHz-10kHz (above those most midrange drivers became weak). In my case this is a 3-4uf capacitor. I choose 3,3uf capacitor. 2) For midrange you need to make a Band Pass filter, so you can cut the low frequencies where the midrange driver is weak and the very high where it is also becoming weak and the tweeter will support it. For Saba midrange driver these are below 300-400Hz and above 9-10kHz, so I needed a coil to filter high frequencies and a capacitor to filter very low frequencies - all put in series to the driver. In my case this is a 0.39mH (mili Henry) coil and a 100uf capacitor. The 0.39mH coil start to cut off frequencies above 2kHz but with decent step so it can match to the tweeter filter correctly at ~9kHz. And the 100uf capacitor will cut off everything below 318Hz, which is pretty fine. 3) Now we come to the bass section. The goal is to support the midrange. You can use any 12" or 15" speakers here. I choose Saba 10" 5Ohm because my room is pretty small and I had a bass extension boxes (without back wall of course!). Here we have to be more aggresive that's why we will use a Second order Low Pass filter which consists of a coil in series to the driver and a capacitor connected to the ground. I went with a 4mH coil (because of the price) and a 10uf capacitor. I could use a 50uf capacitor so I can get a 350Hz cut off frequency, but since I use a 10" bass speaker it is a little big weaker than 12" ot 15", I decided to go to higher cut off frequency so I can compensate the small bass speaker size. But you should definitely make your calculations in a way that you cut everything above 300-400Hz if you have bigger bass speakers. *) remember you have to connect bass speakers with reverse polarity! So they can cancel each other with the midrange driver where they overlap, e.g. minimize unwanted destructive acoustic interference in the frequency region covered by both woofers and main/midrange speakers. Here is my crossover as a final schema. Coils have to be with low resistance (2-5Ohm). I use Jantzen Audio coils - C-Coil for bass and Wax Coil for midrange - http://jantzen-audio.com/html/coils.html. Very very good coils from Danmark! Final advice - do not use electrolytes. Buy PIO or Polypropilene capacitors. They are much better and you will hear the difference. Even if you use old russian PIOs (Paper In Oil). Chinese Obbligato http://www.partsconnexion.com/capacitor_film_obbligato_oil.html and http://www.partsconnexion.com/capacitor_film_obbligato_psu.html are very good. 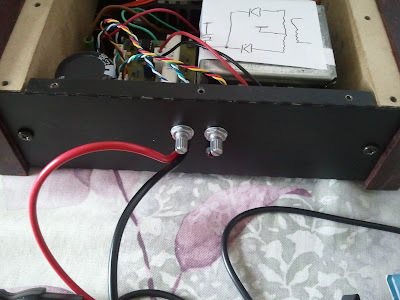 If you have a small budget you can go with electrolytes, of course, but do not forget that the signal wire have to be connected to plus (+) side of the electrolyte capacitor. A month ago I found 4 tubes 6n1p in my stuff, so I decided to use them. But what's the best thing you can use 4 russian tubes - of course, a headphone amp. And I do need one now since I am listening to music on headphones almost 5-6 hours per day. 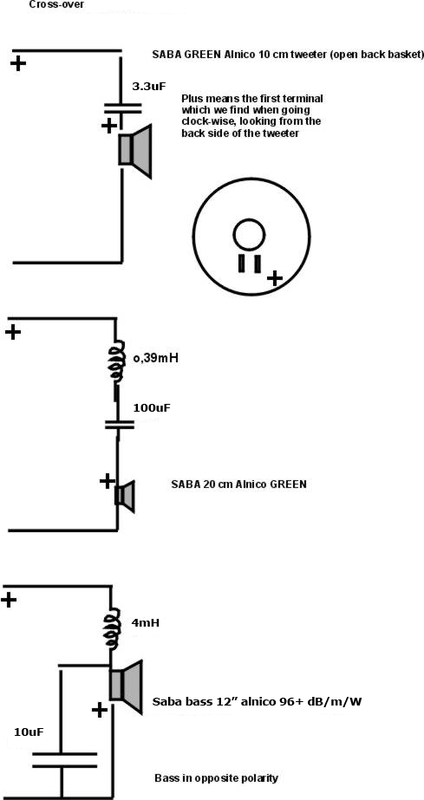 I found a pretty good schematic for 6n1p headphone amp here (http://gilmore2.chem.northwestern.edu/projects/showfile.php?file=bender_prj.htm) by Bruce Bender. I ordered all parts that I was missing and here are they. 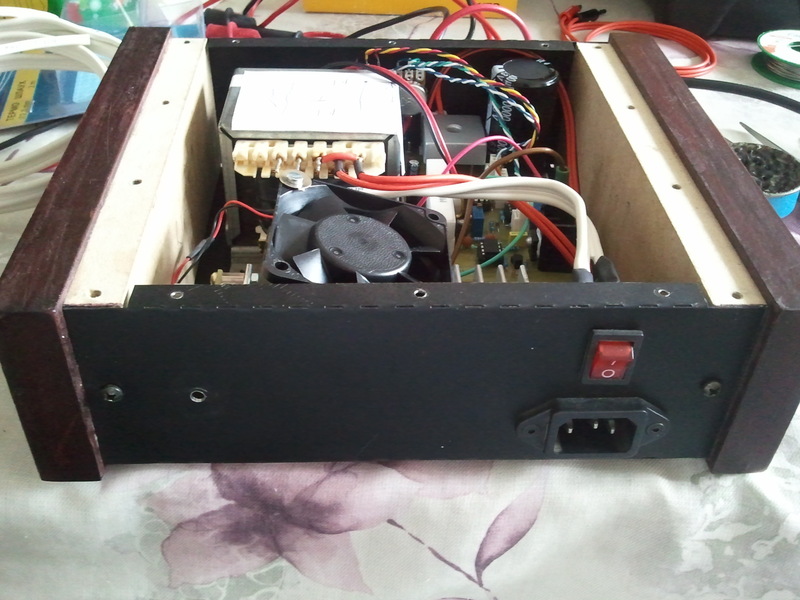 I made the power supply for heaters and anodes. These are the 3 x 6n1p tubes. They are small but should be efficient. Almost a year since my last mods to this Marantz player, yesterday I came up with new ideas about it. Here's what I decided to do and deep listening test after every mod step by step I confirm here only those that really do change the sound to a even higher level than before. 1) I removed the crappy Nichicon Muse 22uf output capacitors and put perfect Ampohm 4.7uf Polypropillene capacitors directly to the output RCA sockets. Here you can use every PIO (Paper In Oil), polypropillene, styroflex capacitor with value between 1uf and 10uf. Please do not use old russian ship container like caps or the small ceramic caps. 2) I had some Blackgates 100uf-470uf/25V and put them everywhere - around DAC, around digital chip, around opamps. They make the best sound for opamps in matter of not distorting the signal in any way. I've tried Nichicon Muse, Elna Silmic II, etc. but they all put some of their taste to the sound and I do not like that. I wanted pure, flat, without distortions capacitors and these are only Blackgates. 3) Variable output board was removed. It uses the +/-15V from the power supply which are used by the TDA1541A DAC and opamps, so this step will relieve a little bit the PSU. 4) For opamps I decided to switch to LM4562HA. They are really good! 5) Before the main 7805 regular in the PSU I decided to put in ~20000uf capacitance. The rule of thumb says that if you drawn 1A of current you need at least 20000uf capacitance so you can filter perfectly the 50Hz/60Hz noise from the main line. 6) All diodes was change to schottky ones. Schottky are smoother. You have to change all diodes in the played so you can hear a real difference. Changing only one rectifier won't have any effect you can hear. 8) I removed all small 100nf ceramic SMD capacitors on TDA1541A's decoupling pins and then I put 0.47uf WIMA. You really have to remove the SMDs first! Believe me! 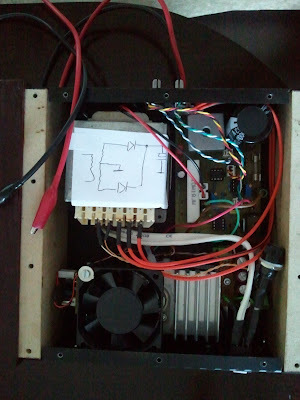 9) Have you read about DEM clock for TDA1541A? It's time! You should read THIS PDF. After that just change the capacitor between 16th and 17th pins for 120pf/1% tolerance one and you will be amazed. Here are some photos during these interventions. Multicap bank of 7 x 3000uf/16V put before the main 7805 regulator. 0.47uf Wima caps on the 14 decoupling pins of TDA1541A. You see the little blue cap of 120pf for DEM lock. Upgraded capacitance to 6600uf before 7815 regulator. View of the whole player with clock, main line AC RFI filter, all Blackgates, big 21000uf caps bank, etc. The great output Ampohm 4.7uf capacitors. More Blackgates for the digital filter chip. Main capacitor bank installed in the player. AC RFI filter. Very, very important! And costs only 8EUR. I am very pleased with my last upgrades to this player. *) Please, do not bother saying that it looks awful. I know. It's a test player for different type of mods, so I do not care for the look. I just want to hear if something is worth the effort applying in my primary player and/or some player of a friend.